Bubble bubble toil in trouble. 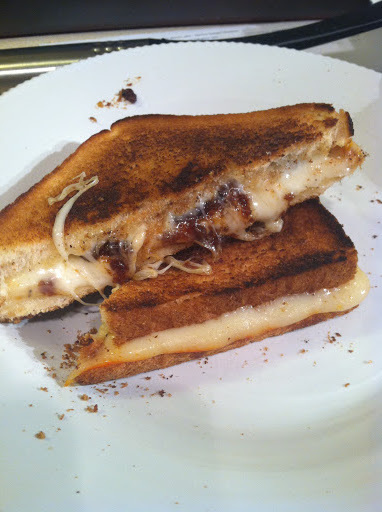 Halloween night was spent testing/tasting out a bacon jam recipe. Josh and I fell in love with Empire State South’s bacon jam years ago. Its decadent. Its deep. Its delicious. It was the first thing that came to mind when I was asked to bring an appetizer to a friends dinner party. Believe it or not Miss Priss herself -The Martha Stewart- has a bacon jam recipe. Yes, I am just as surprised as you. Seems so…lowly for her hoity toitiness. 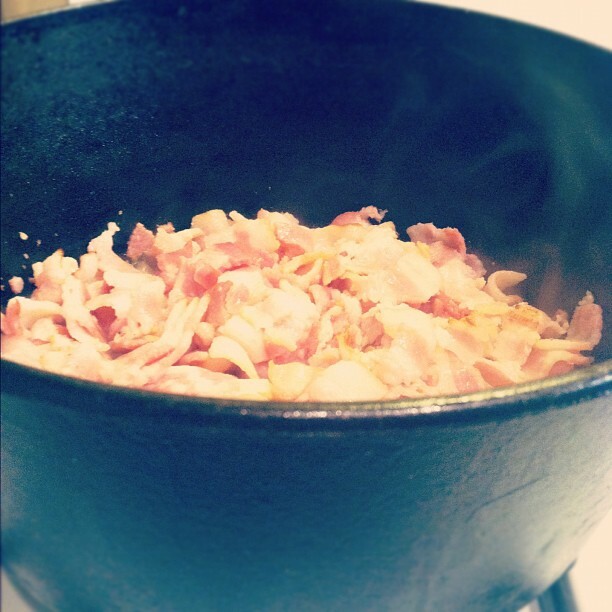 In a large skillet, cook bacon over medium-high, stirring occasionally, until fat is rendered and bacon is lightly browned, about 20 minutes. With a slotted spoon, transfer bacon to paper towels to drain. 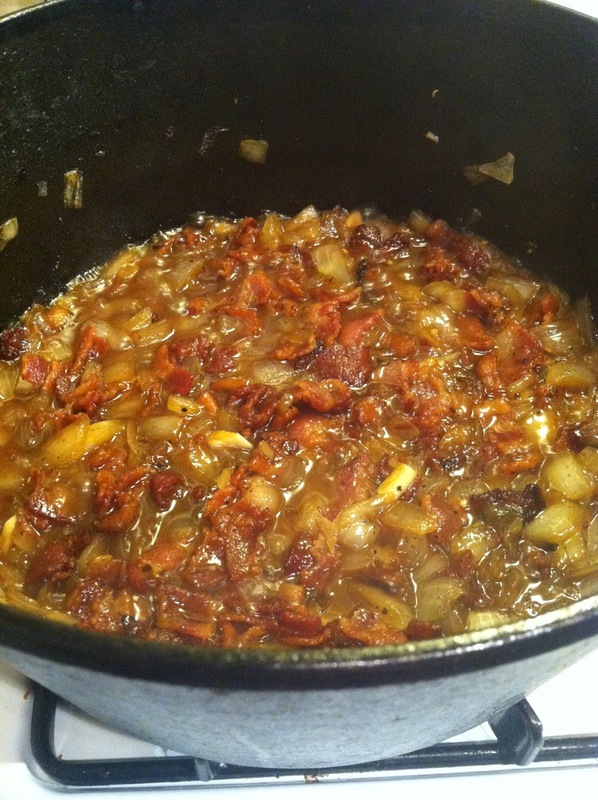 Pour off all but 1 tablespoon fat from skillet (reserve for another use); add onions and garlic, and cook until onions are translucent, about 6 minutes. Add vinegar, brown sugar, maple syrup, and coffee and bring to a boil, stirring and scraping up browned bits from skillet with a wooden spoon, about 2 minutes. Add bacon and stir to combine. Let the mixture sit on the stove- med high heat- for 30-60 minutes until it is jam consistency. Transfer to a food processor; pulse until coarsely chopped. Let cool, then refrigerate in airtight containers, up to 4 weeks. 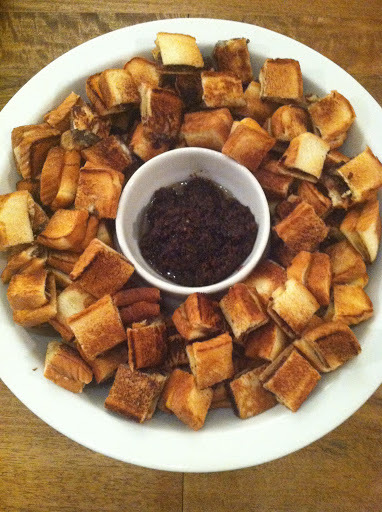 To pay homage to the amazing mini grilled cheese hors d’oeuvres that we served during cocktail hour at our wedding….we layered our jam between 2 pieces of bread and good white cheese. Indulgent! Please. Make this next time you have appetizer duty. Please. Bacon Jam is my jam.